Certified. 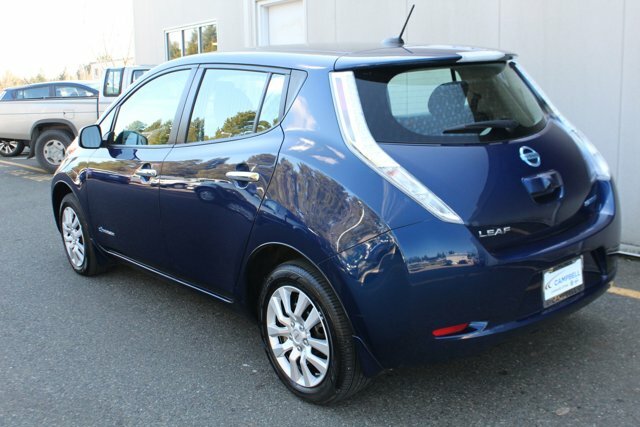 Nissan Leaf S w/Quick Charge 107 mile range Clean CARFAX. CARFAX One-Owner. Nissan Certified Pre-Owned means you not only get the reassurance of a 7yr/100,000 mile Warranty, but also a 167-point comprehensive inspection, 24/7 roadside assistance, trip-interruption services, and a complete CARFAX vehicle history report. Price is after $700 rebate when financing with Nissan.Oac We are the Largest Certified Leaf preowned dealer on the West Coast. Over 30 on Sale now! Recent Arrival! 124/101 City/Highway MPG Nissan Certified Pre-Owned Details: * Warranty Deductible: $50 * 167 Point Inspection * Transferable Warranty (between private parties) * Roadside Assistance * Limited Warranty: 84 Month/100,000 Mile (whichever comes first) from original in-service date * Vehicle History * Includes Car Rental and Trip Interruption Reimbursement Awards: * 2017 KBB.com 5 Best Electric Cars Under $40,000 Located in Edmonds across from Costco on HWY 99. Our community involvement is centered on taking care of the basic needs of people who would be hard pressed to help themselves or in other words 'helping those without a voice'. This month for every car sold we will provide 5 nights of emergency housing for people in our community without a home through our partnership with Seattle Union Gospel Mission, Bread of Life, Compass Health and EGM. Please visit us today and help support our efforts in providing a better community for those in need.